The 47-year-old singer revealed on Instagram on Monday that he and his husband, Jwan Yosef, are proud new parents of a little girl they decided to name Lucia Martin-Yosef. 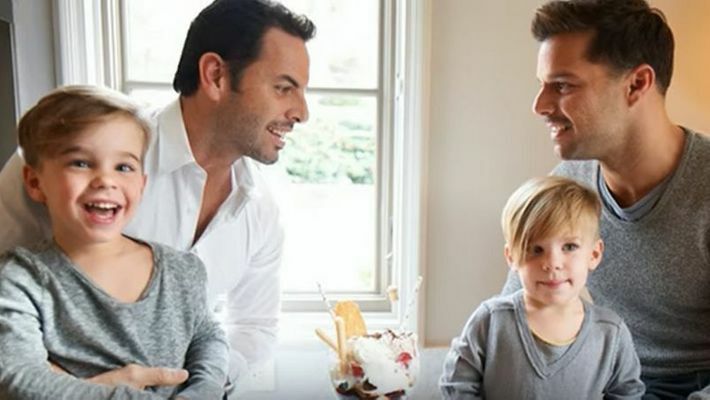 Pop star-actor Ricky Martin and husband, artist Jwan Yosef have become proud parents to a daughter. The couple have named the baby - Lucia. The 47-year-old music icon took to Instagram to announce the birth of their little one on New Year's Eve. Ricky captioned the pic, in both Spanish and English, 🇪🇸Nos emociona anunciar que nos hemos convertido en padres de una hermosa y saludable niña a la que hemos llamado Lucía Martin-Yosef. Esto ha sido sin duda un cumpleaños y celebración de la Navidad única en nuestras vidas. Tanto sus hermanos como Jwan y yo estamos completamente enamorados de nuestra beba y agradecidos de poder comenzar este 2019 con el mejor regalo que podíamos recibir, el regalo de la vida. Martin is also father to 9-year-old twin sons Matteo and Valentino, whom he is raising with Yosef, 35. He revealed his marriage to Yosef in January 2018, just over a year after announcing their engagement. Independence Day special: What do 'freedom' and 'nation' mean to you?